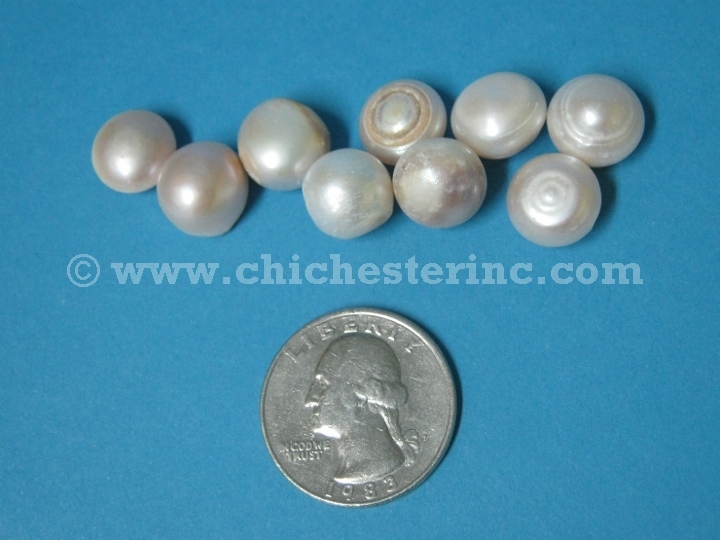 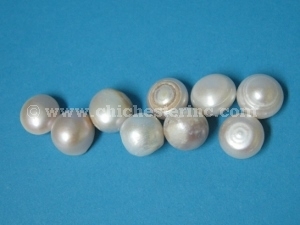 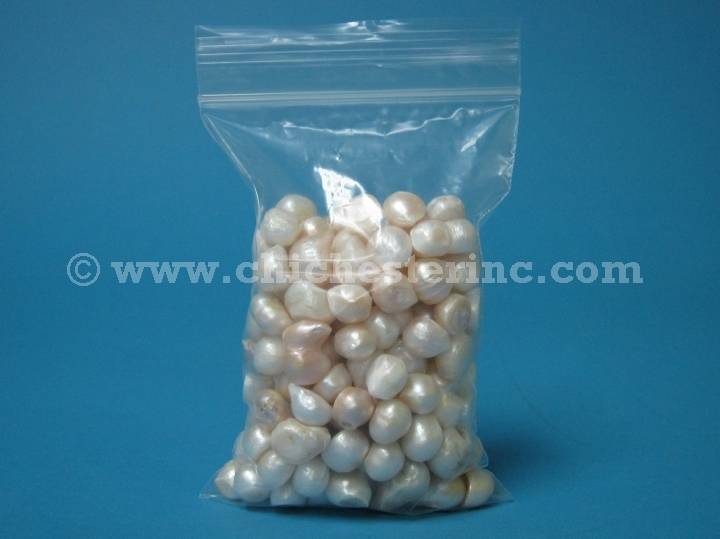 These are freshwater cultured pearls sold by the pearl and in bulk by the kilogram (2.2 pounds). 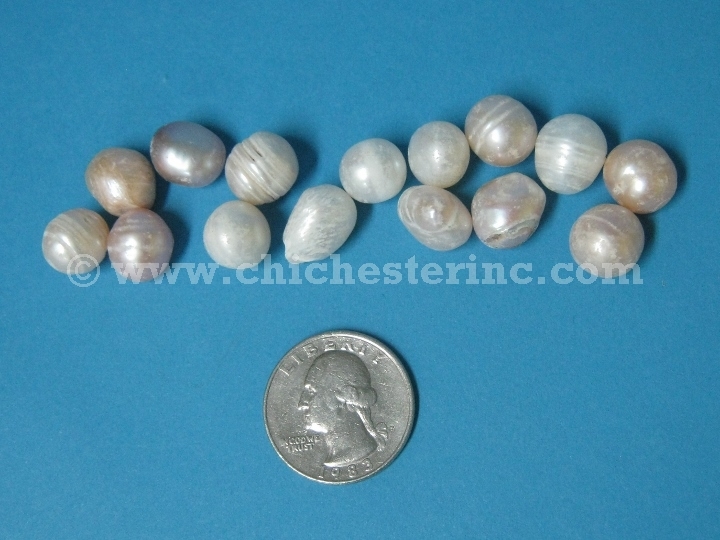 These are craft-grade raw pearls that have been sorted into high, medium, low, and baroque grade. The baroque-grade craft pearls are irregular-shaped and sometimes may be two or three pearls stuck together. 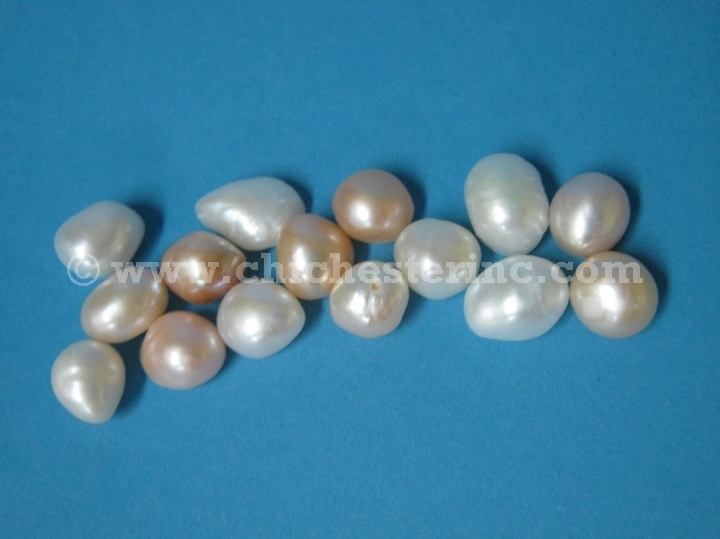 The pearls come in assorted colors, mostly white, pink, and some purple. 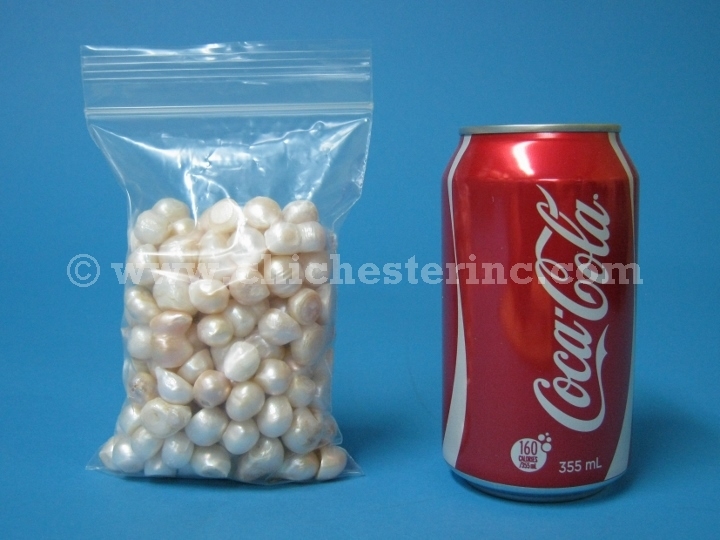 We do not sort by color. 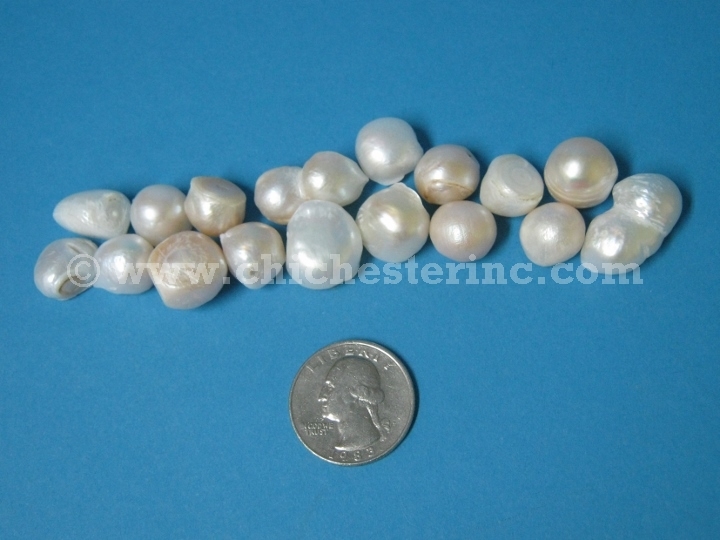 There are approximately 735 high-grade pearls per kilogram. 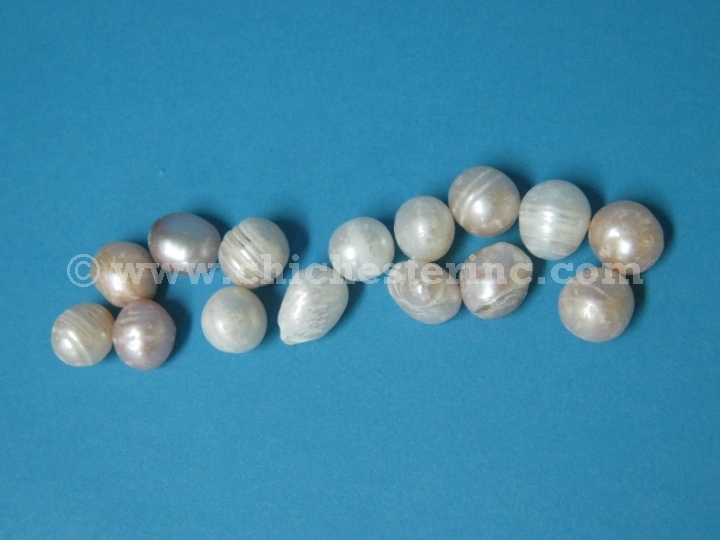 There are approximately 532 medium-grade pearls per kilogram. 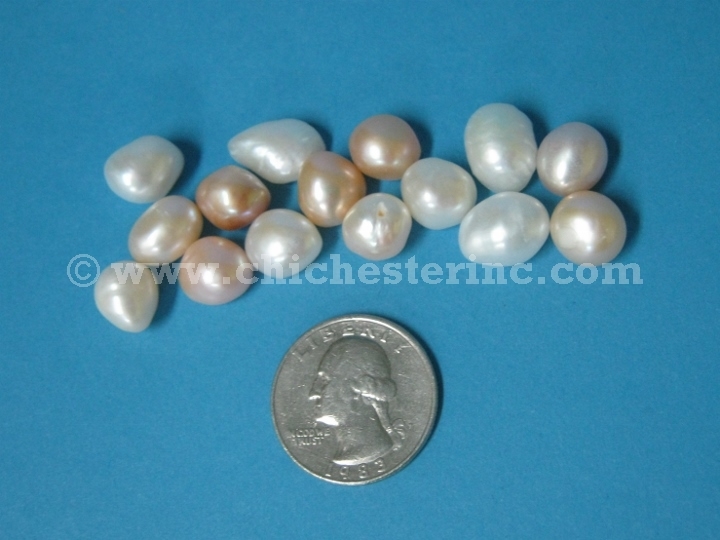 There are approximately 543 low-grade pearls per kilogram. 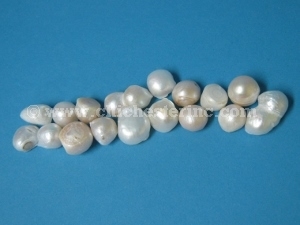 There are approximately 313 baroque pearls per kilogram.